Starting from Windows 10, Microsoft wants to make sure that most of the devices running Windows are running the latest version of Windows 10 which is patched with most known vulnerabilities and stay safe on the Internet. This means that the users will get less control over which Windows updates to install and which ones to leave out. There are surely instances where a specific device driver or an update will not play nicely with your system. For this, the user should be able to block that specific update. In this article, we will discuss about stopping a specific update from installing in Windows 10. Microsoft recommends that you stay up to date with all Windows updates installed on your system. 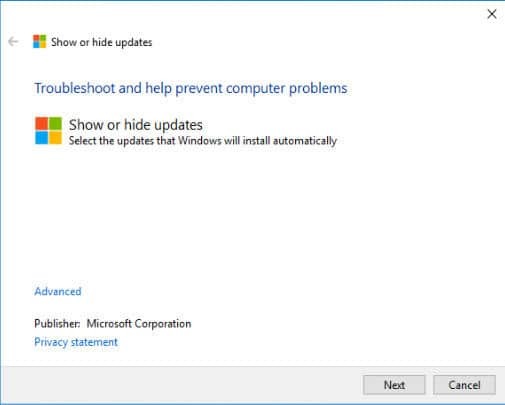 But if you are having problems with a specific update, then you should use the steps described below to prevent a specific update from installing on your computer. First of all, make sure that the update you want to stop from installing is not already installed on the system. Please uninstall the update if already installed and then follow the steps mentioned below. 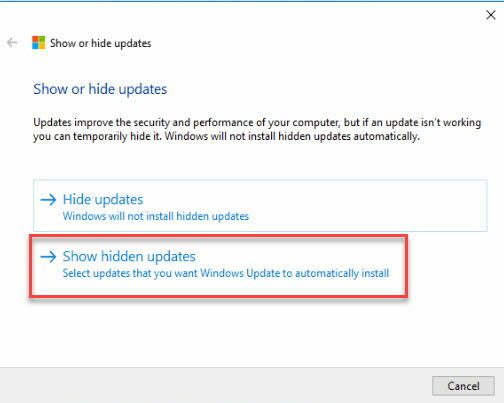 Download Show or hide updates tool from Microsoft. Run the utility and start Next to start the scanning process. Next, select Hide updates button. The tool will show available updates to hide. Select the problematic updates and press Next. 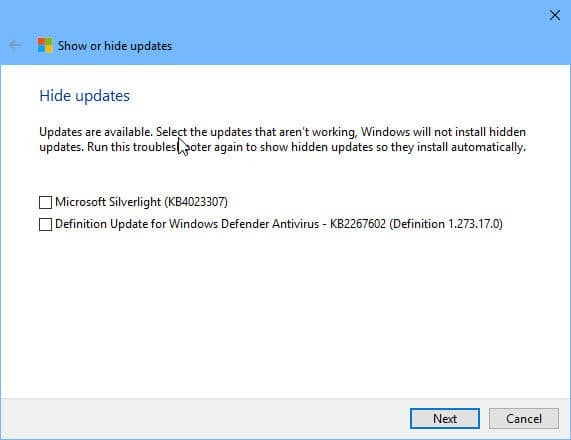 This hides the update from Windows Update automatically and this update doesn’t install during next update process. Press the Close button to close. If you want to unhide or show the hidden updates, run the tool again and select Show hidden updates instead of Hide updates. Rest of the process is the same. 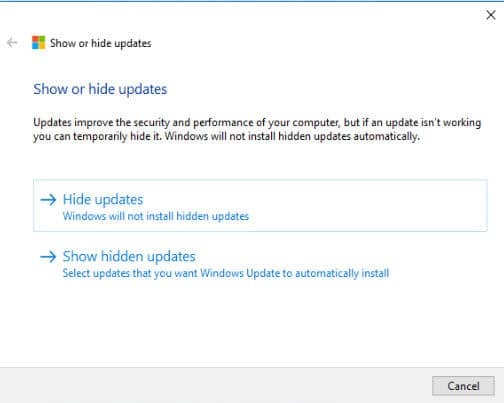 This method of hiding updates from the Windows update process only applies to individual computers. If you are a network administrator and are using WSUS or other Windows update method for getting updates from Microsoft, you should check in your respective software to block a specific update from installing in your network.